The 100&Change is an international competition and a landmark opportunity for thinkers and designers to tackle critical challenges affecting the world. Michele Visciòla will be one of the panel of expert judges who will select which project is worthy of the $100 million grant. 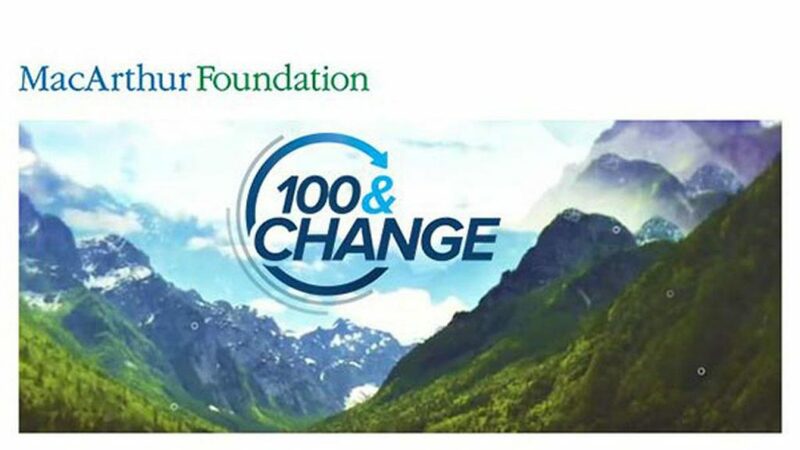 100&Change is the MacArthur Foundation competition – launched this year for the first time – that offers a whopping $100 million grant to fund a single proposal. The foundation chose $100 million, because they believe it’s an amount that is large enough to really focus on a serious problem and its solution in a meaningful and lasting way. In other words, it’s an amount that can really make a difference – and that’s exactly what the selected project will make too. The submitted applications focus on solving any critical issue, but should propose a bold and lasting, evidence-based solution. Ideas come from any field or sector, but must be meaningful, verifiable, feasible, and durable. Michele will be the only Italian judge in the evaluation panel made up by 377 expert judges who will help to shortlist the initial applications. In a show of robust participation, the competition has received nearly 2000 proposals, which are currently undergoing an administrative review process. Find out read more about Michele and his fellow competition judges or about the 100&Change competition.